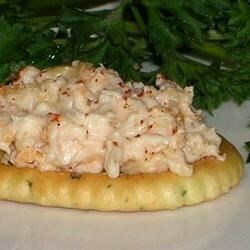 In a medium bowl, mix the cream cheese, mayonnaise, Cheddar cheese, crabmeat, lemon juice, hot sauce and Worcestershire sauce. Transfer to a shallow 9x13 inch baking dish. Garnish with paprika.